President Museveni has visited the murder scene where former Buyende District Police Commander Muhammad Kirumira and his wife were shot dead. 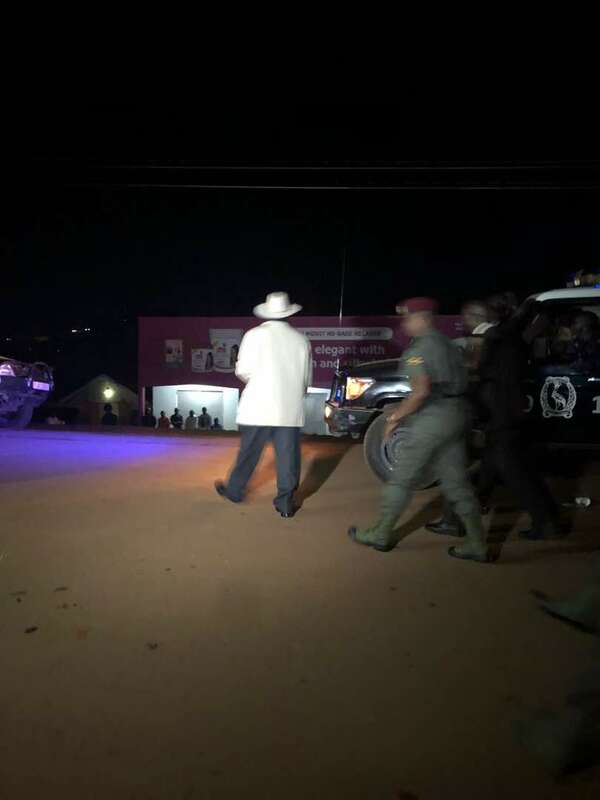 Museveni arrived at the scene hours after the assassination. The president reportedly asked two eye witnesses to go with him to State House as part of his investigations. The president is on Sunday expected to address the nation on a number of issues including the security situation of the country. Police said Kirumira and his wife were driving in a family car when they were attacked near their home in Bulenga, Wakiso District. The attackers were riding on a boda boda. Police spokesperson Emilian Kayima said they were attacked at about 9pm. “The Uganda Police Force is greatly concerned with the assassination of ASP Muhammad Kirumira at Bulenga near his home at around 9:00pm. He was with a lady residents confirmed to be his wife,” said Mr Kayima in a statement before adding that she too succumbed to bullet wounds and was pronounced dead on arrival at Rubaga Hospital Saturday evening. Kirumira was reportedly driving his personal vehicle which is still at the scene of crime at Bulenga. “We condemn these heinous criminal acts and promise to hunt down these merciless criminals and bring them to book,” added Mr Kayima.